A couple of weeks ago, after a fantastic camping weekend, all we wanted were some margaritas and Tex-Mex food. So we went to Matt’s Famous El Rancho, and got exactly what we were seeking. Except, I got just a little bit too much of it! Their brisket tacos were too filling to finish, but too delicious to leave the last one on my plate. So we took it home. The next day, at lunchtime, we kind of both wanted that taco. But there was only one. 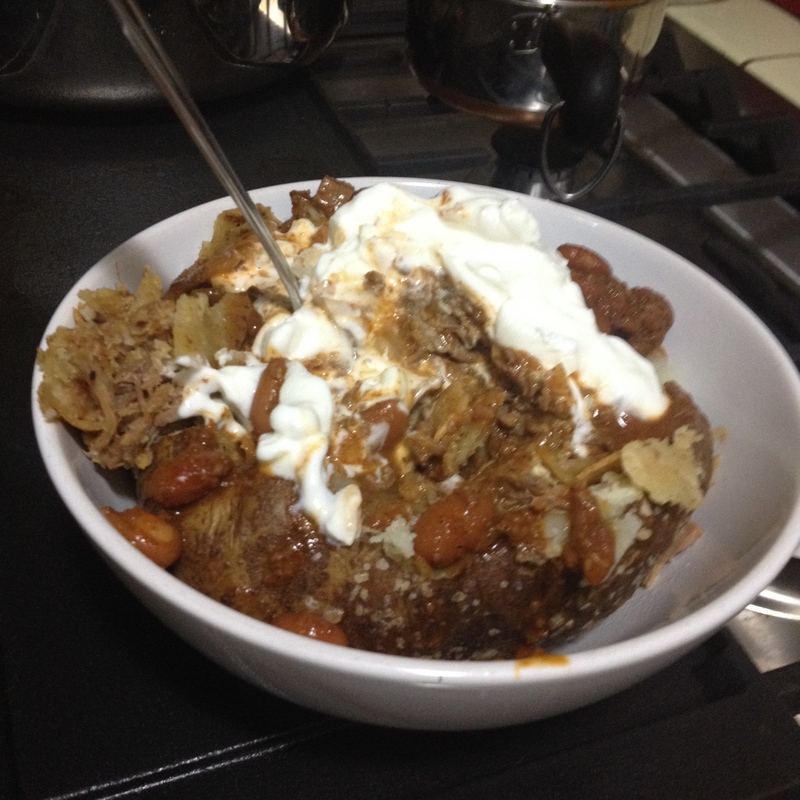 So, we grabbed a couple of spuds from our Giant Bag of Costco Potatoes, baked them up, and invented the most delicious meal ever: The Brisket Taco baked Potato. Our handy kitchen shears turned the taco into delicious brisket bites, we added some leftover chili and sour cream and it. was. awesome. What’s the weirdest thing you’ve ever done with leftovers?